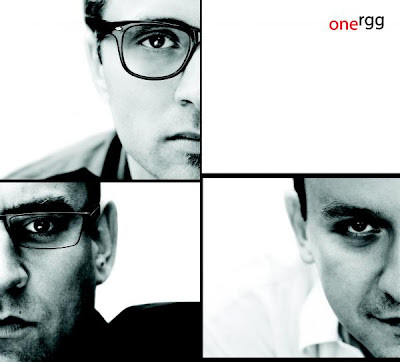 I wonder a little whether it is a pure coincidence but the fact is that right after Polish premiere of Marcin Wasilewski Trio new album "Faithful" on 4th March, on 12th of the same month a premiere of RGG trio album titled "One" took place. And so my Marantz CD player is now munching music of both trios and I see in his quartz eyes the same hesitation which you could find in mine: which is better? Before I answer this question let me first say few words about RGG record since about Marcin Wasilewski's "Faithful" I wrote in last post. Album opens with "One", composition by Maciej Garbowski (doublebass), a very representative tune for RGG style: pensive, gracious, charismatic. Perfect cooperation between Przemysław Raminiak (piano), Maciej Garbowski and Krzysztof Gradziuk (drums): they indeed sound like one. 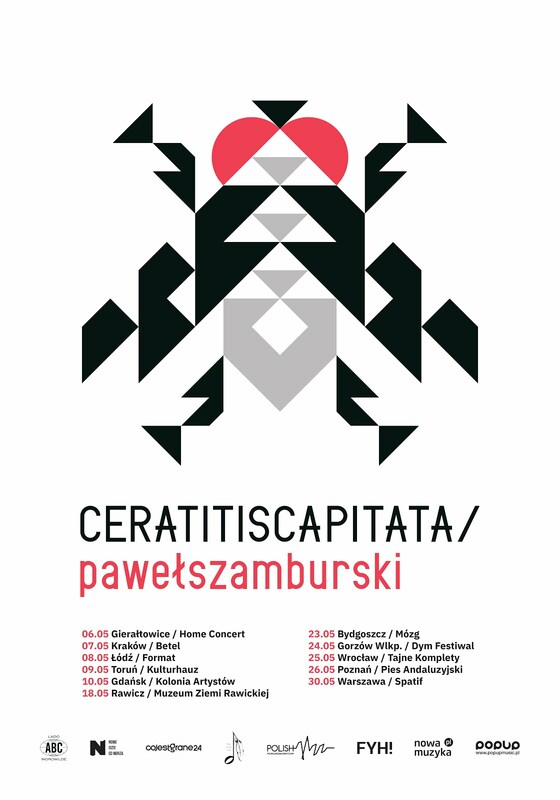 Marcin Wasilewski plays on his album composition of Paul Bley "Big Foot" and by another astounding coincidence we have on this album a composition by his wife Carla Bley "Around Again" (check original and new version). Broken rhythms, dissonances and meandering of collective improvisations remind us that RGG last album "True Story" was all 2 CD free jazz playing - the territory where they feel very comfortable already. Third "Bell", again by Garbowski, is splendid tune where there is very little melody, only scratches of rhythm, glimpses of tempos, harmonies barely sketched. Thoughtful piano of Raminiak conversates as if in dream with rustling drums of Gradziuk and Garbowski's double action involving play with fiddlestick. Fourth "Spring Walk", by Przemysław Raminiak, is a wamp, the moment you listen to it, you remember it and for ever. Next is Richie Beirach's (p), "Elm", another splendid tune, check this version recorded with George Mraz (b) and Jack DeJohnette (d), again played so consistently as intended by trio to show audience that whether speaking in free or mainstream jazz language they retain their own, unique sound identity. Following "From the Other Hand" (6) is by Raminiak and through "Almost Blues" (7), "The Truth" (8) and "Out of Row" (9) all by Garbowski music is flowing impeccably alternately low or up tempo. With "C.T." (10) dedicated to Cecil Taylor, a collective improvisation dominated by ramshackled piano, we are on more interesting territory but soon "Stop&Think" follows presumably as inteded counterpoint to wild din of previous song. We are now getting closer to the end of the album with last song before last "When My Anger Starts to Cry" by Norwegian band BeadyBelle, a great hit, easily recognized here and yet transformed into small jazz gem. Finally another drop of collective improvisation in "On the Way to Road 11". Wonderful! So let me get back to the question: which album is better? I must confess that up to this moment RGG trio was my favourite: I regard their "Unfinished Story" as masterpiece and their last "True Story", double CD, exclusively improvised as magnificent work. But with this album they kind of step back toward more accessible music which will perhaps appeal to wider audience but which leave me a little bit disappointed because my tastes shifted significantly over years toward avantjazz and freeimprov music. I therefore regard Marcin Wasilewski trio "Faithful" as a winner this time: it's as melodic and charming as "One" but more focused on avant jazz side, though I admit that once collective improvisation is concerned alone RGG prevails. Goddamn! That's hard choice. Perhaps it's better to say that such great artists shouldn't be compared for one is certain: musicianship is on both albums on the same absolutely stellar level. Bravo!